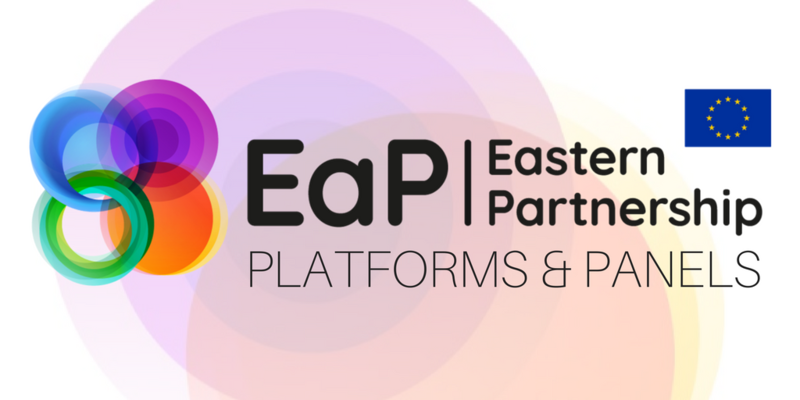 Last November, at the 2017 Eastern Partnership Summit in Brussels, a revised system of platforms and panels was adopted to contribute towards the implementation of the “20 Deliverables for 2020”. Under this system, panels advance the work at the technical level under each of the Deliverables, whilst platforms steer the course of the implementation and monitor it at a decision-making level. 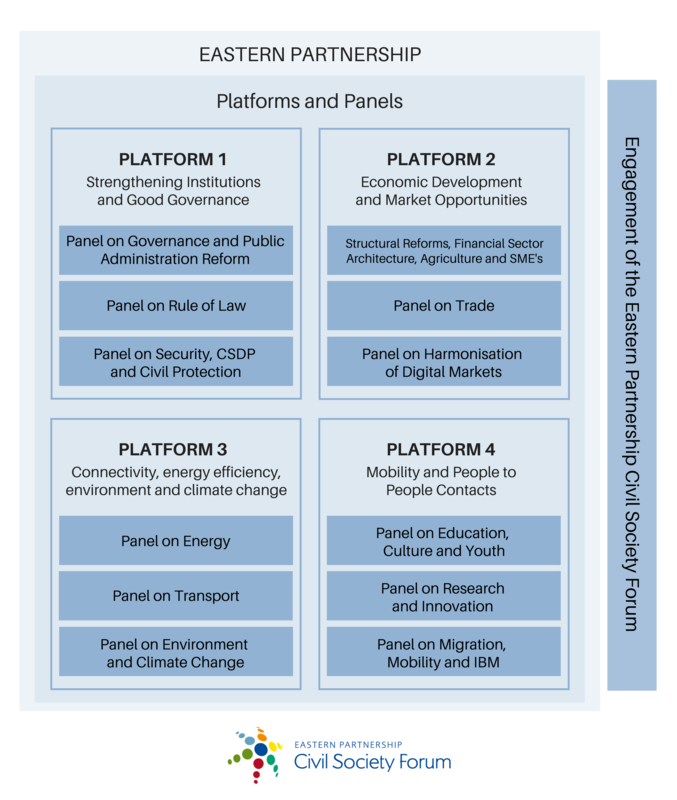 Complementing this, work programmes translate the objectives of the 2020 Deliverables into concrete practical steps, focusing on specific selected targets under each of the platforms. The new architecture aims to refine the process of consultation amongst various actors, including civil society. Consequently, the Eastern Partnership Civil Society Forum, as a permanent observer and the only CSO platform represented at the formative intergovernmental meetings, called upon its members for feedback on ensuring consistency between the 2020 Deliverables and the draft work programmes. They were requested to identify possible gaps to be filled in the revised system, within their area of expertise. Members were also invited to assess how work programmes reflect the reform dynamics and realities on the ground, and to suggest practical solutions for streamlining the three crosscutting deliverables (civil society, gender equality, and strategic communication). The EaP CSF has therefore compiled a document, based on the expert feedback of more than 60 of its member CSOs, encompassing the entire range of civil society activity in the Eastern neighbourhood.